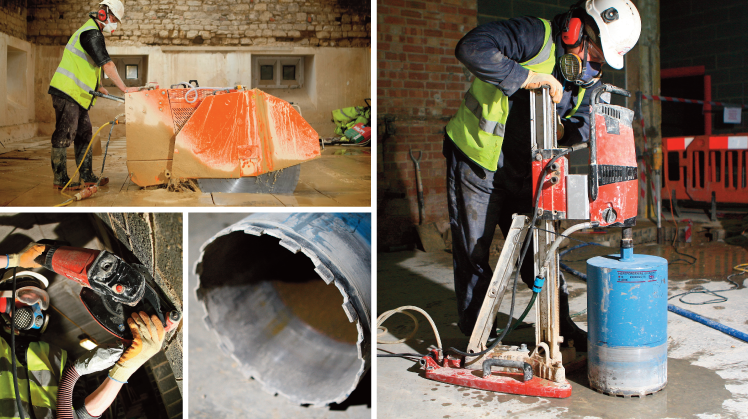 CUTTING EDGE DIAMOND DRILLING LTD.
Based in Oxford, Cutting Edge Diamond Drilling Ltd is a diamond drilling company that holds its core assets in providing competitive and extensive expertise for todayʼs diamond drilling requirements. 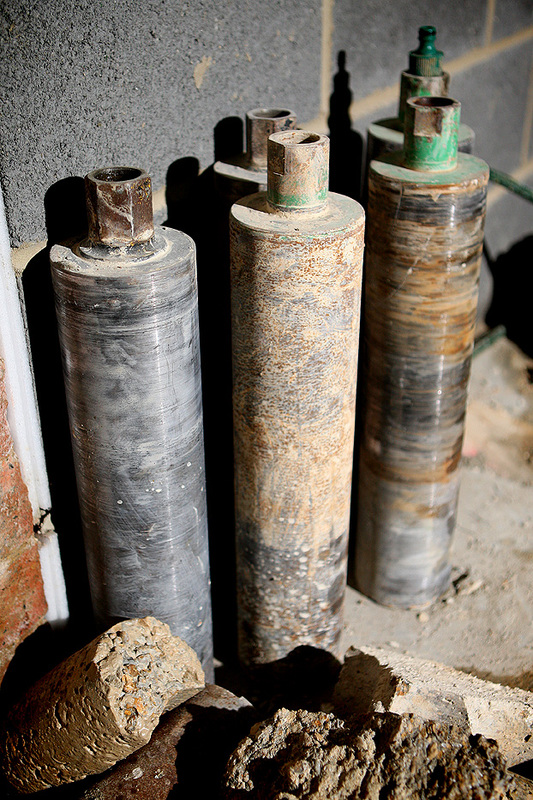 Using industry leading diamond drills and drilling equipment, we achieve maximum core drilling production at very competitive rates. 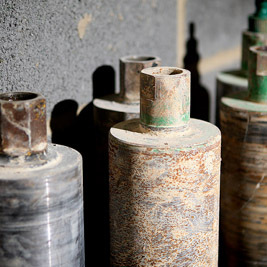 We accomplish and maintain industry leading diamond drill safety awareness programmes and achievements within all levels of our drilling company. 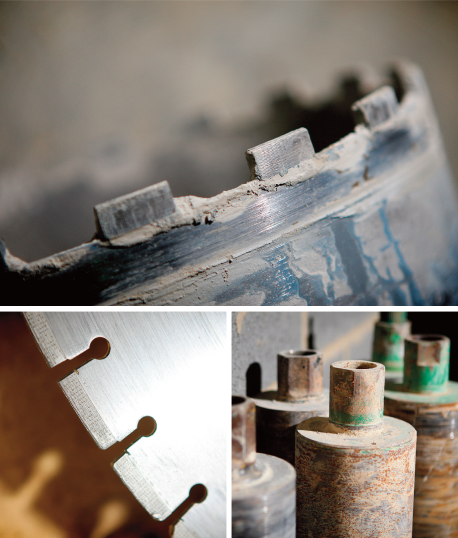 Our focus on value in Diamond Drilling allows our clients to return to us as their first choice in the diamond drilling industry. 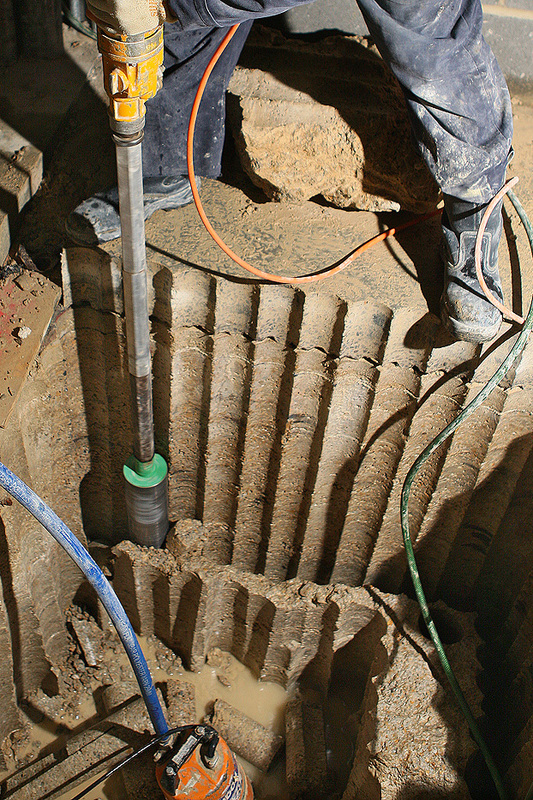 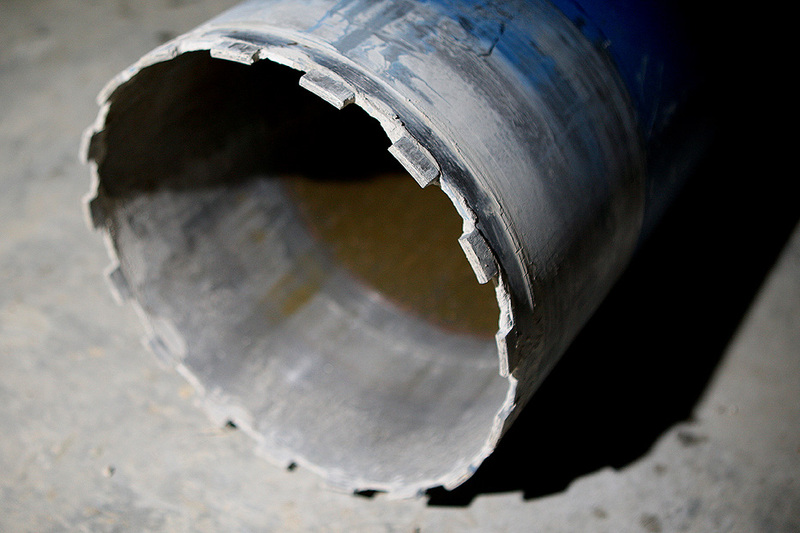 Diamond Drilling is a precise, quiet, non-vibratory method of forming holes. 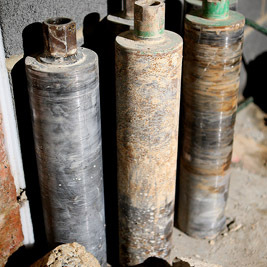 It involves a diamond tipped core barrel ranging from 8mm to 1m in diameter which can be used to drill to virtually unlimited depths. 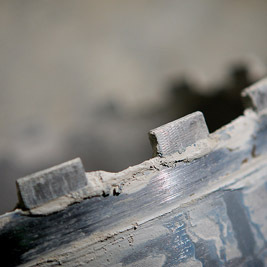 The diamond drilling method is the most commonly used technique that we use at Cutting Edge. 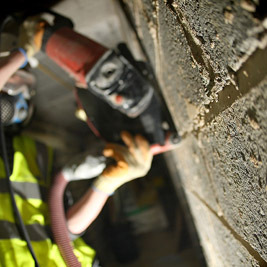 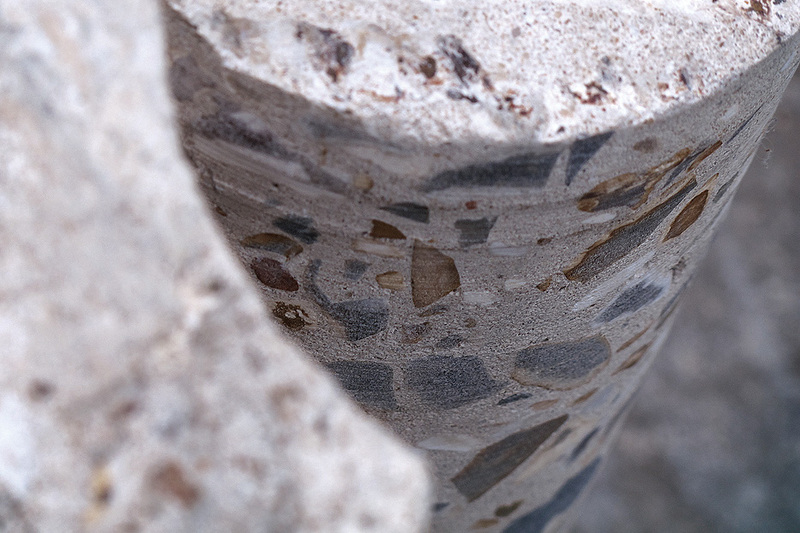 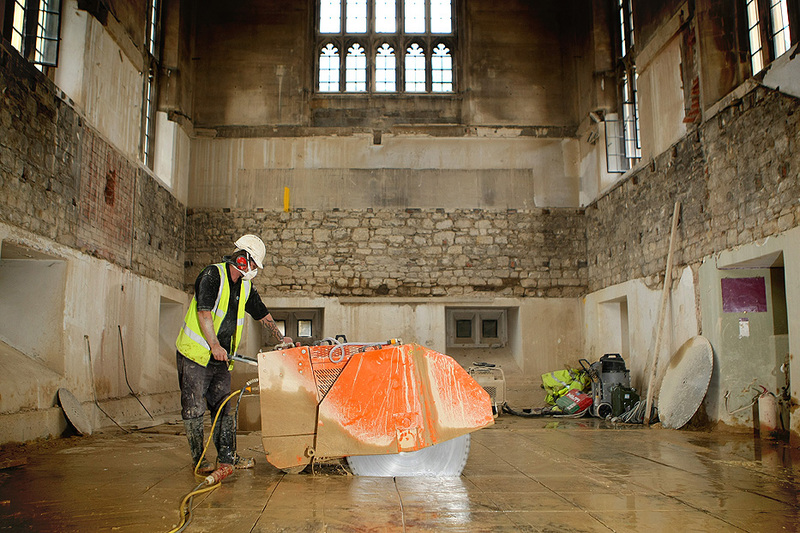 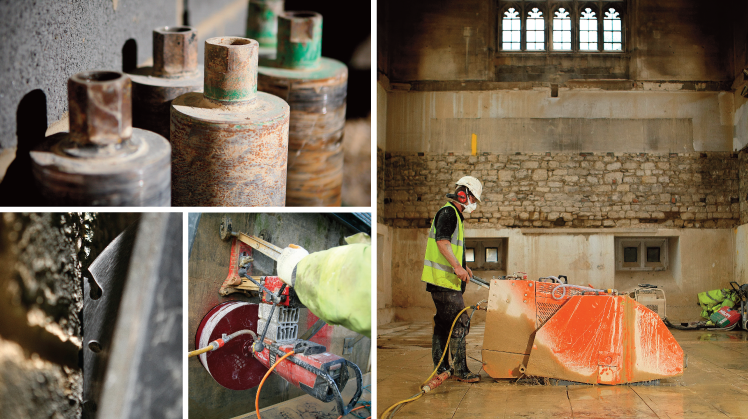 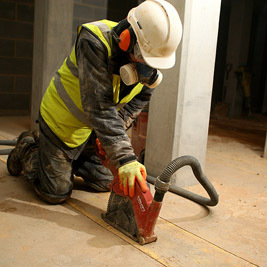 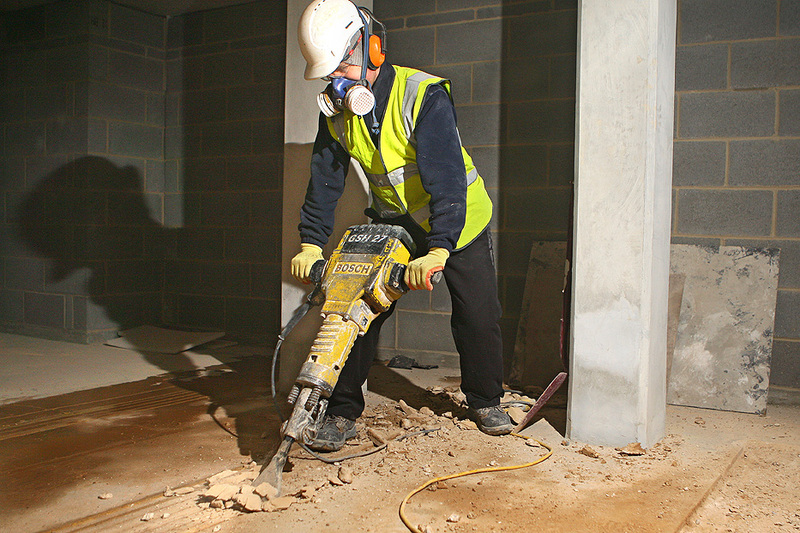 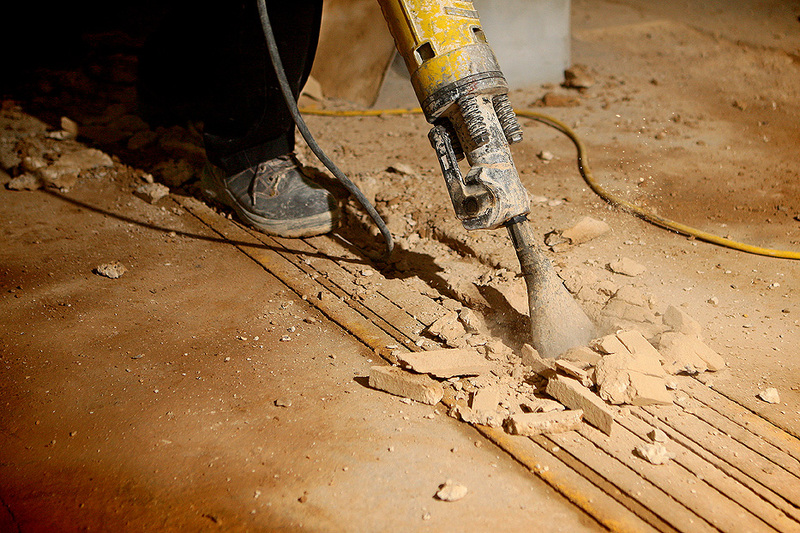 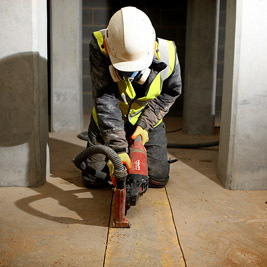 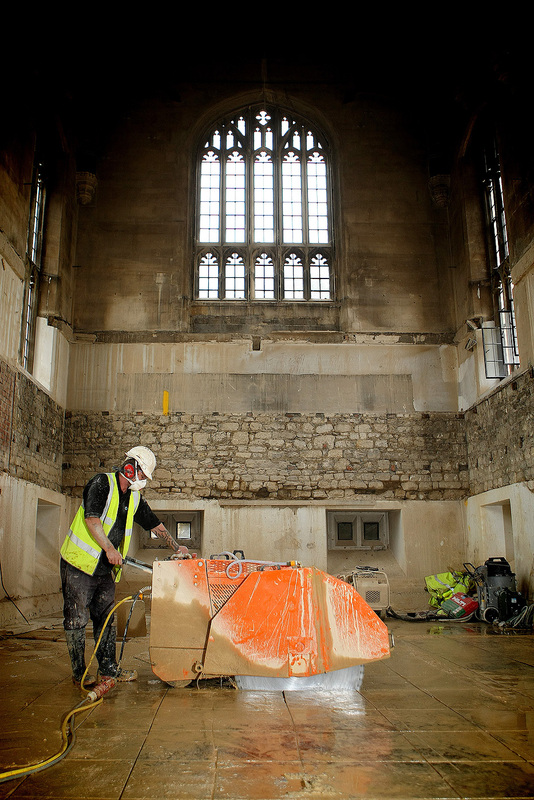 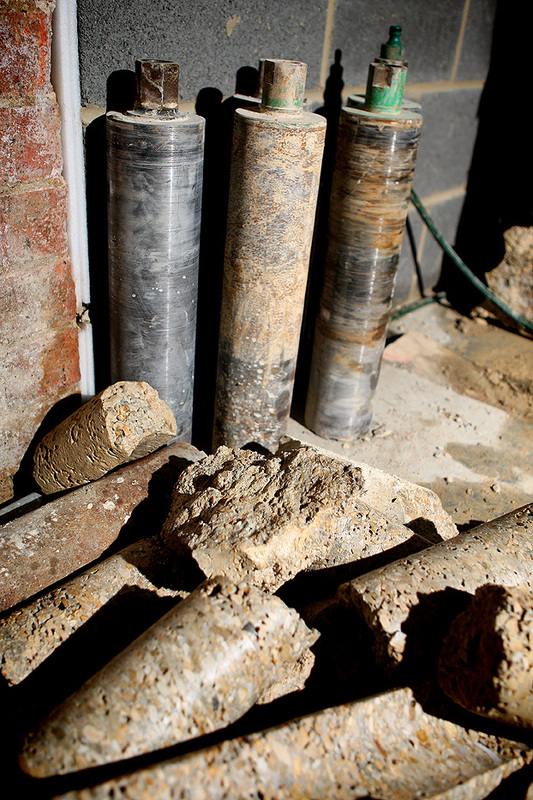 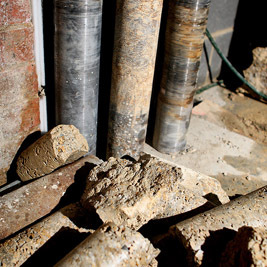 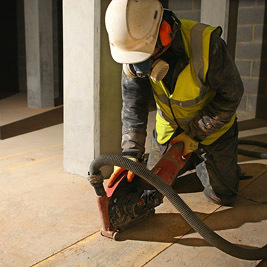 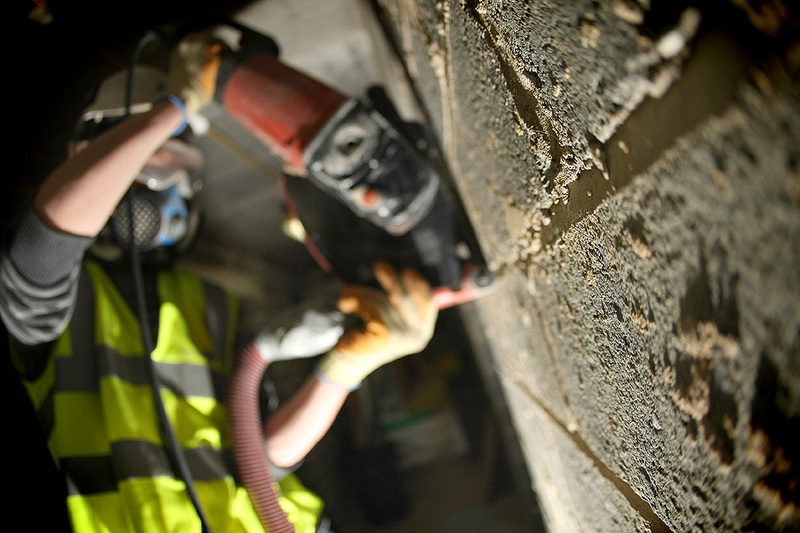 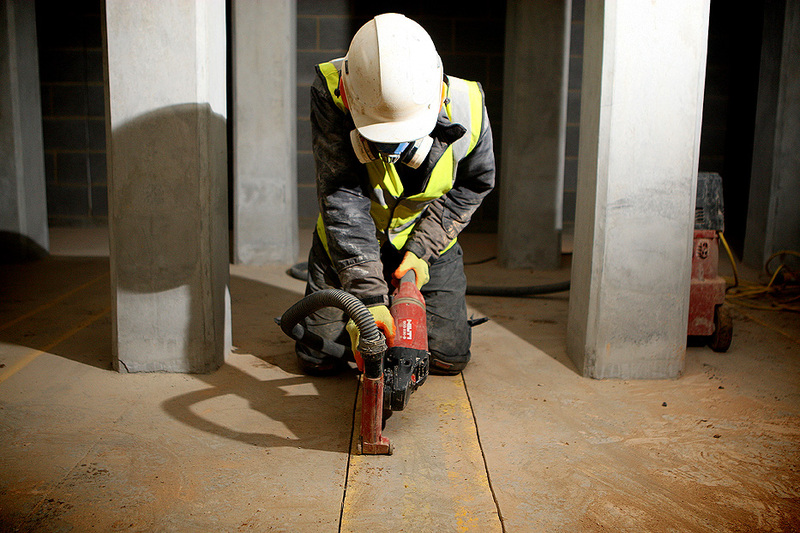 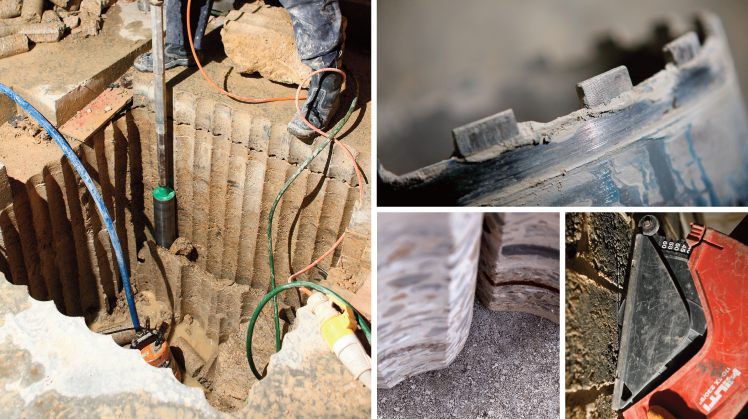 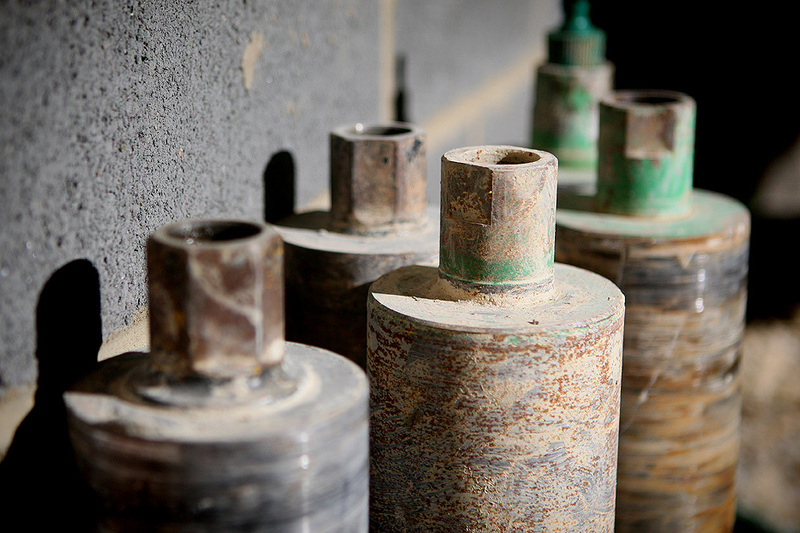 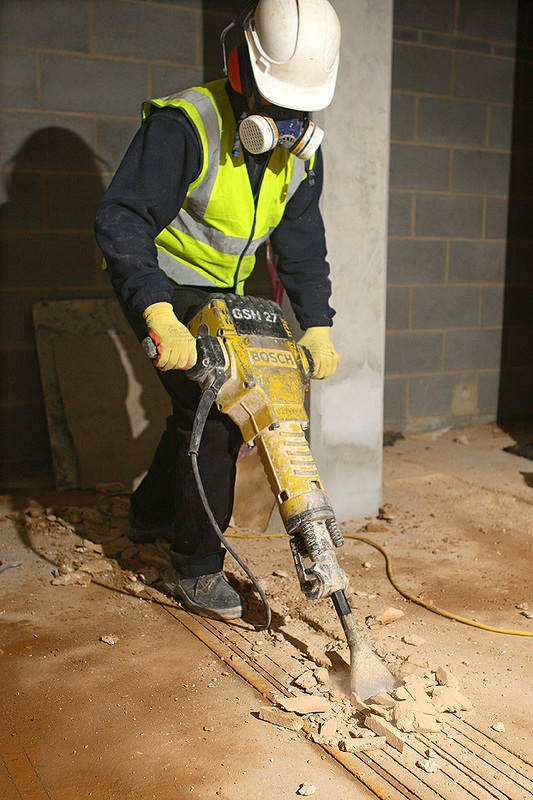 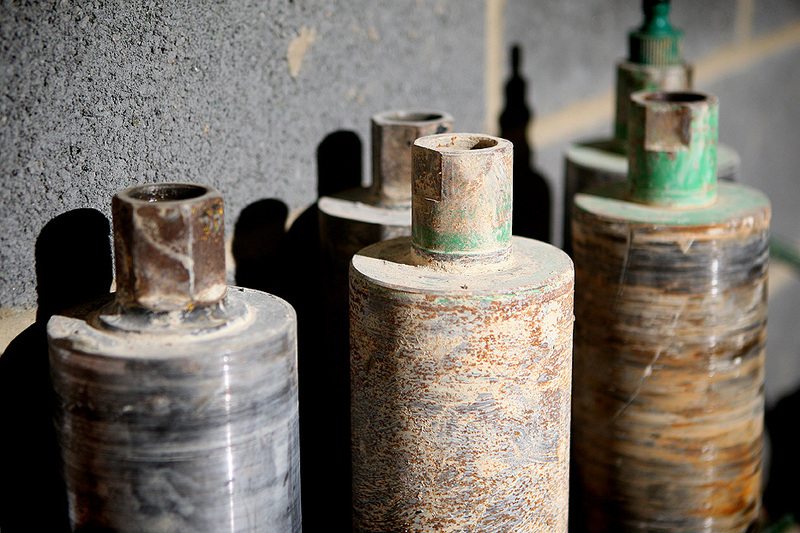 It is possible to drill through all types of hard material; brickwork, blockwork, stone and reinforced concrete. 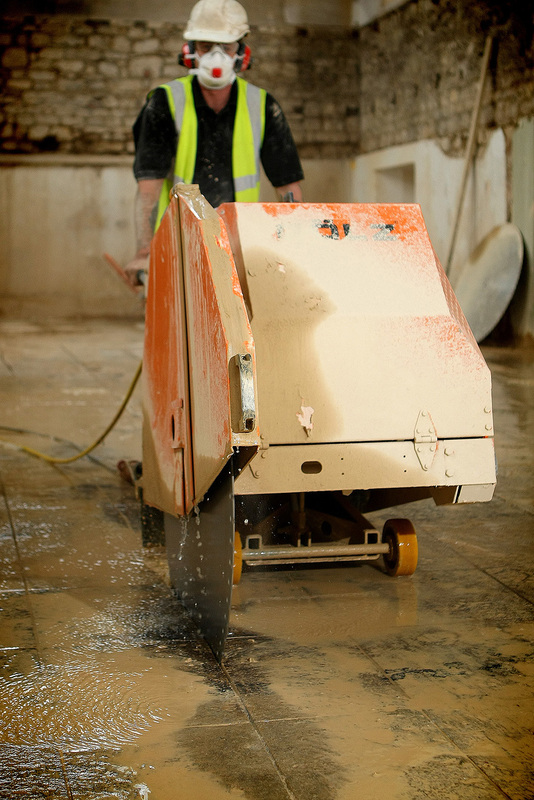 Because we drill with water to cool down the diamond segments, it eliminates dust which creates a safer environment to work within. 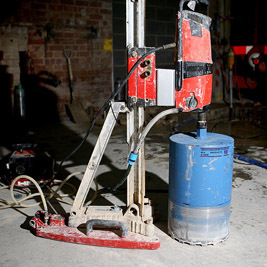 However if dry drilling is required, then we also have equipment with vacuum dust control which can be used on certain materials. 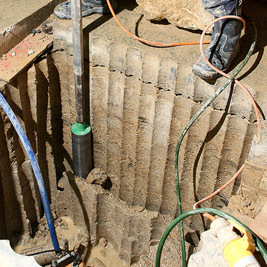 Where there is a need to form an opening rather than an individual hole, this is achieved by interlinking the holes together around the whole perimeter of an area where an opening is required to form the opening - known as stitch drilling. 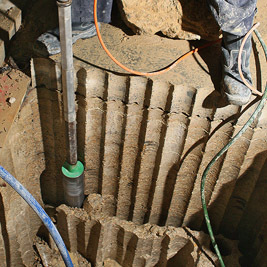 Diamond Drilling has different methods of operation including hand held which is ideal for holes that need to be drilled in hard to reach areas as well as the rig & motor method. 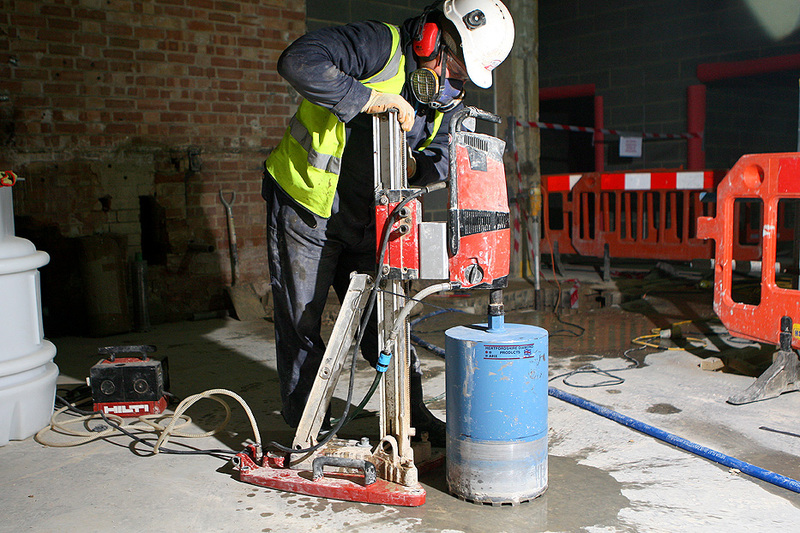 When drilling using the rig & motor method the rig will be secured to the material that needs drilling, this will require a small hole being drilled which will allow the rig to be secured to the ground or wall. 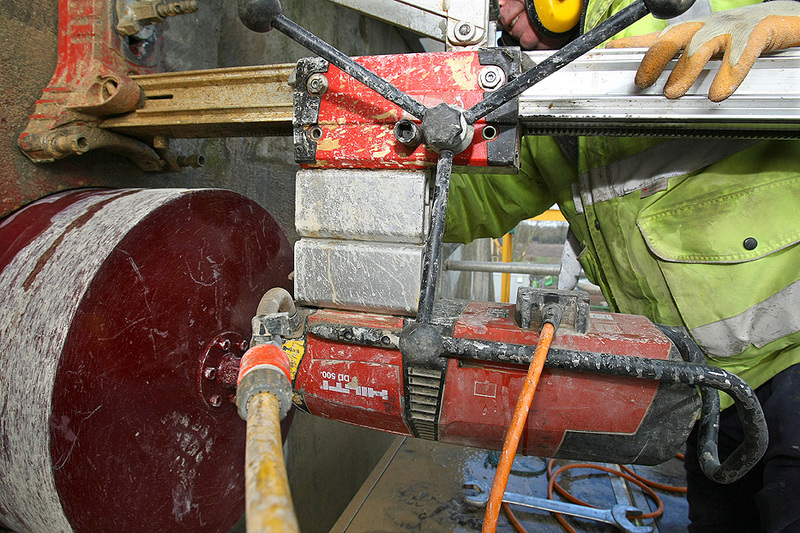 The motor will then be placed into the rig and then the diamond core onto the motor. 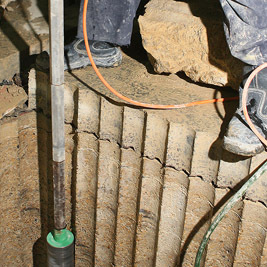 With this type of method the rig can be secured onto walls at any angle and can also be remote and automatically operated. 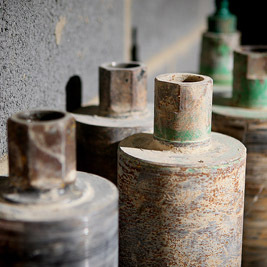 We have a variety of motor sizes to suit the application required. 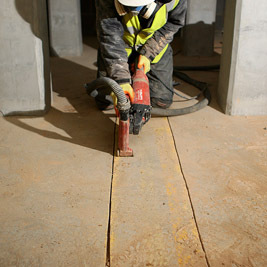 This method is typically used to cut horizontal flat surfaces such as floors, bridge decks, and pavements. 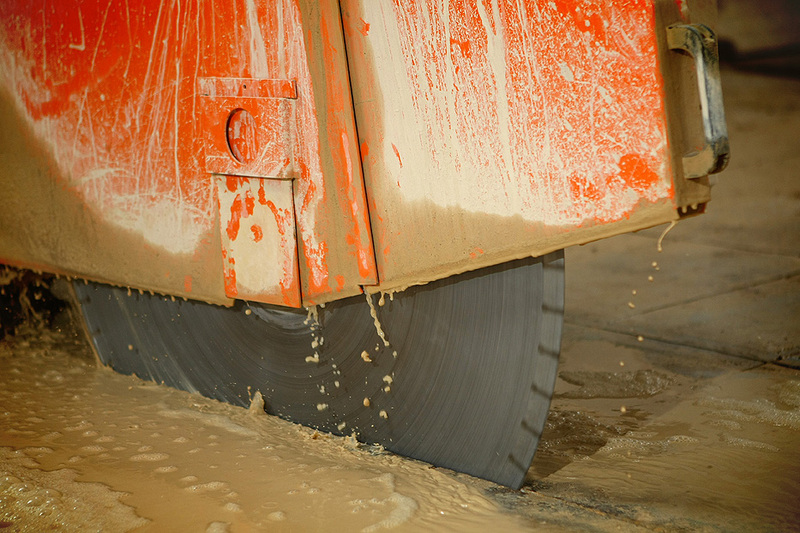 Also called slab saws, floor saws feature a diamond blade that is mounted on a walk-behind machine requiring only one operator. 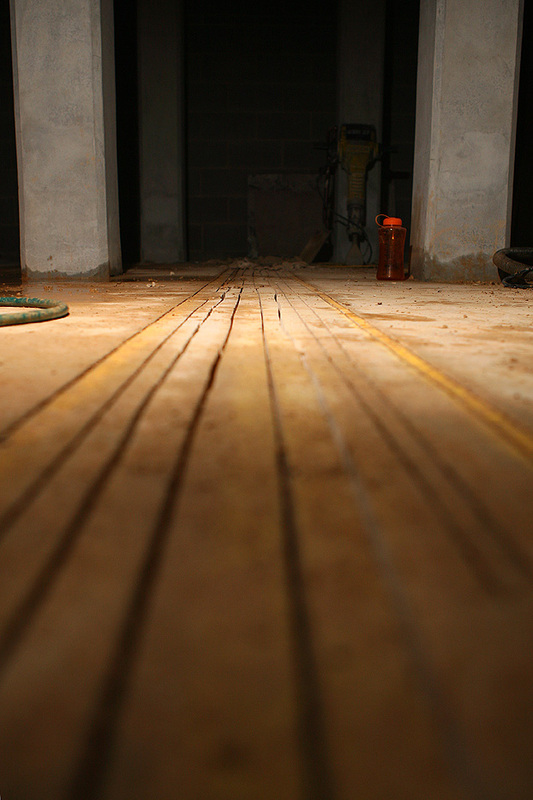 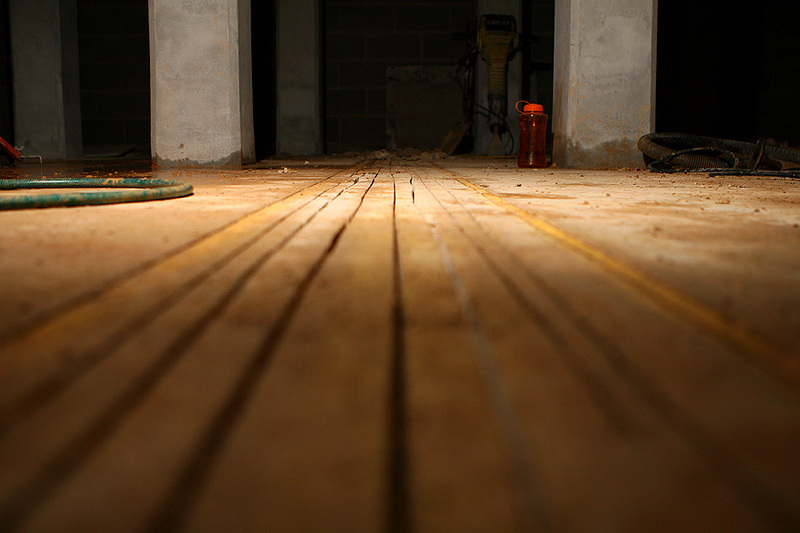 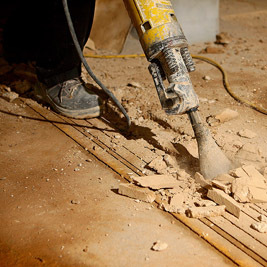 Floor saws are typically used to provide expansion joints, remove damaged pavement sections, clean and repair random cracks for repair, and remove concrete sections for demolition purposes. 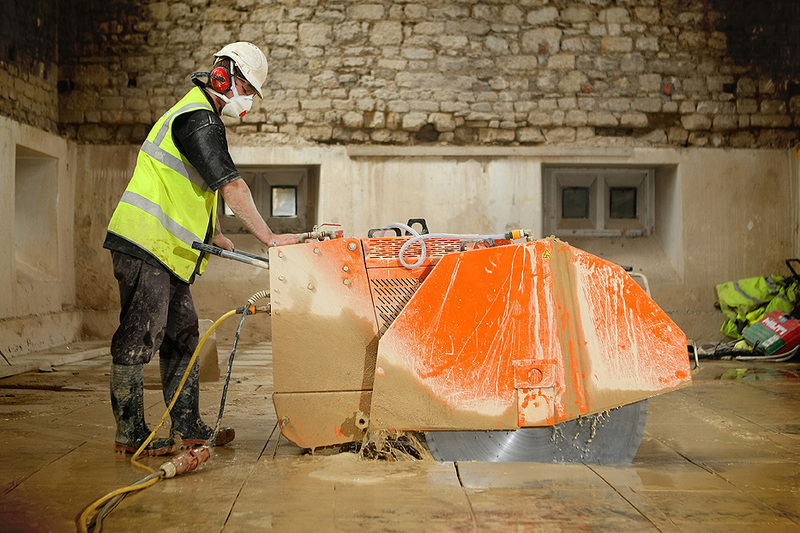 Our range of floor saws can cut shallow crack inducing cuts without marking green concrete to 500mm deep on the hardest of flint aggregate concrete. 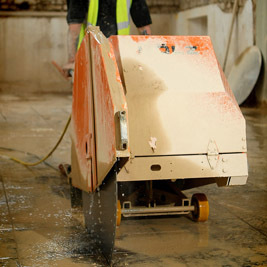 All units are self-contained with integral water supplies within the operator’s saw. 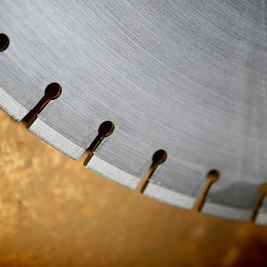 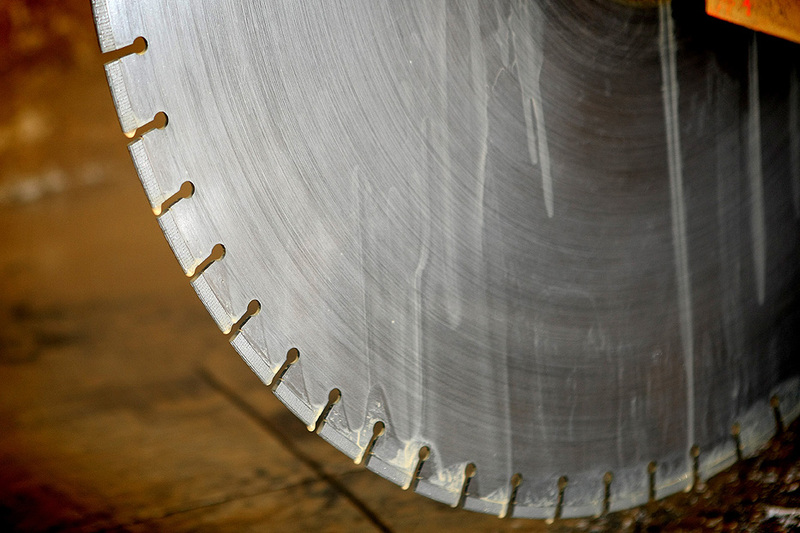 As with the diamond wall saw blade, a floor saw blade consists of a circular steel core with diamond segments attached to the periphery. 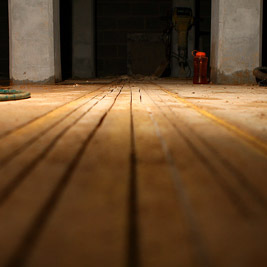 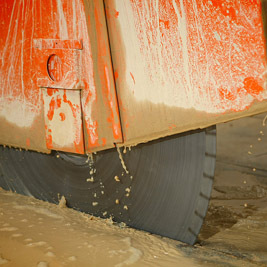 The blade is mounted vertically on the spindle of the floor saw. 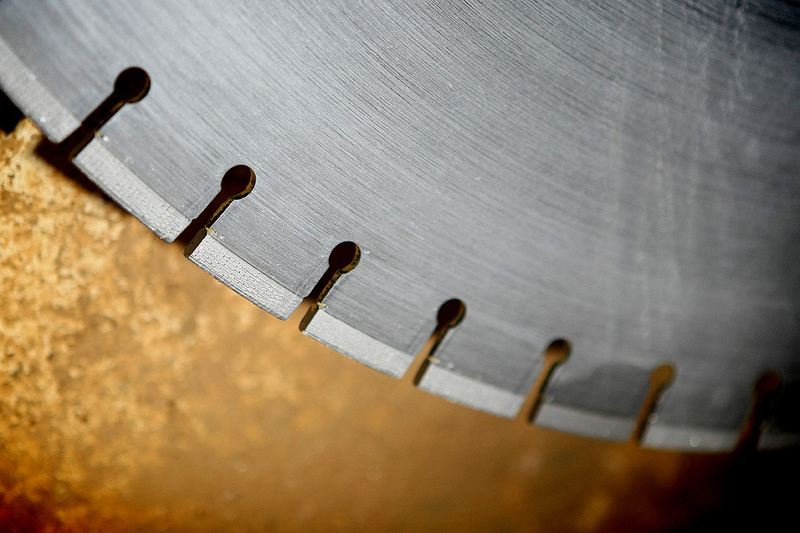 The floor saw is pushed or propelled along a flat surface while the diamond blade makes the vertical cut to the required depth. 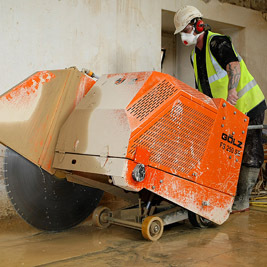 Floor saws are typically powered by petrol / diesel engines, electric or hydraulic sources. 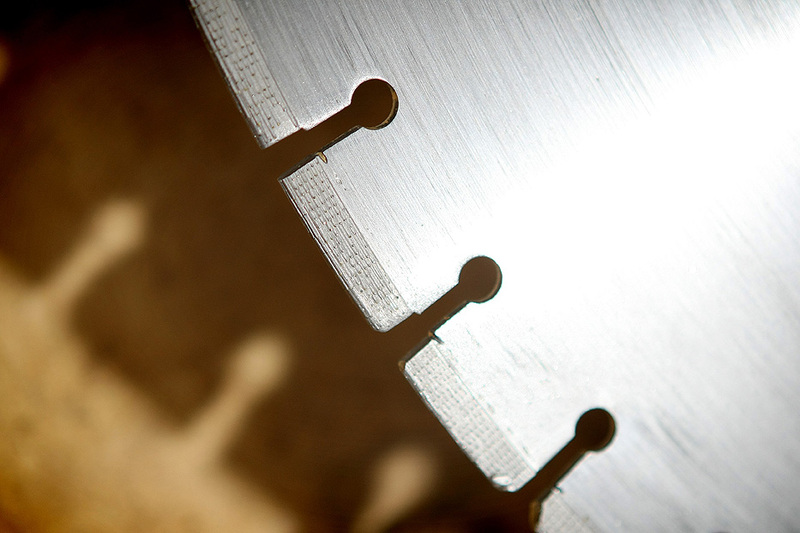 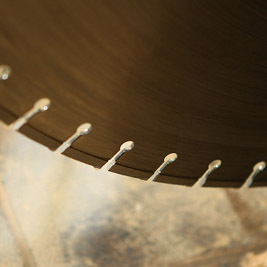 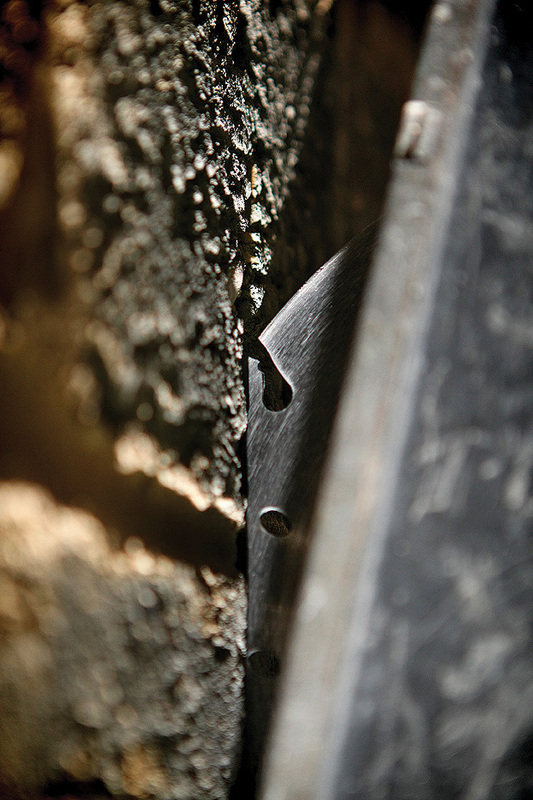 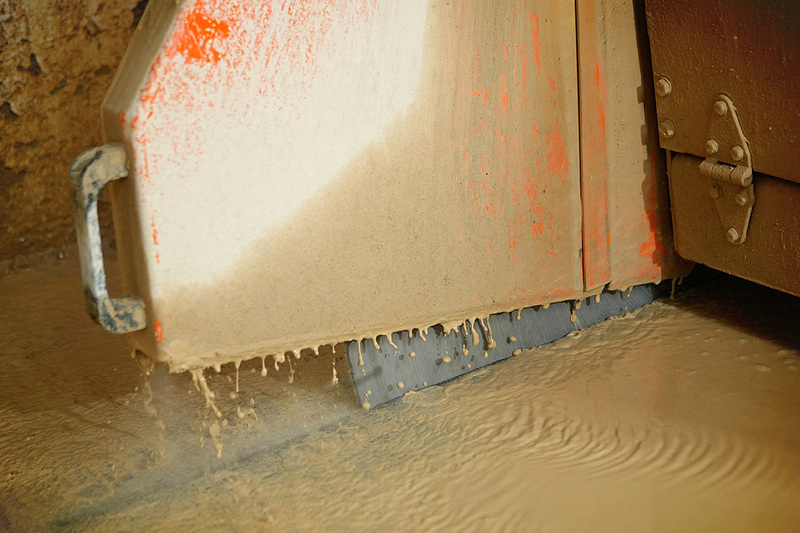 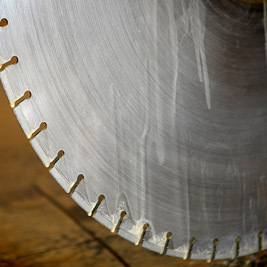 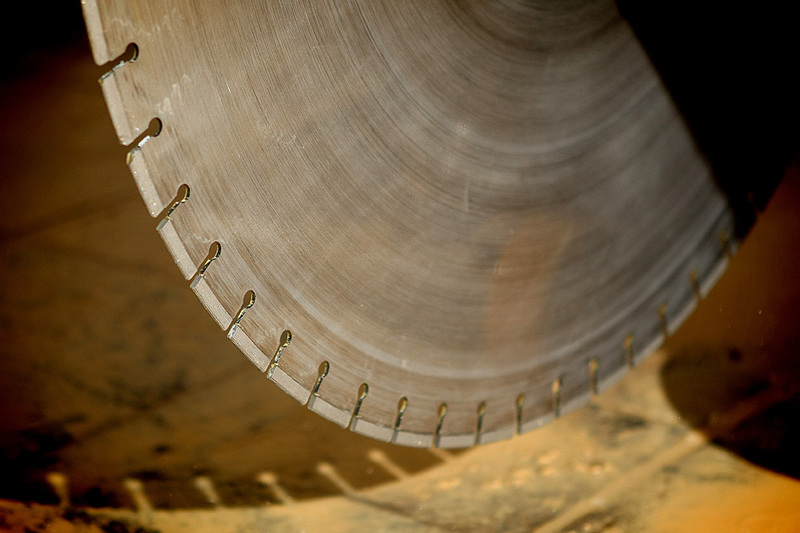 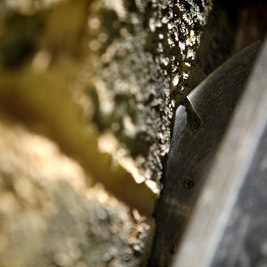 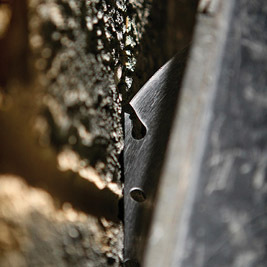 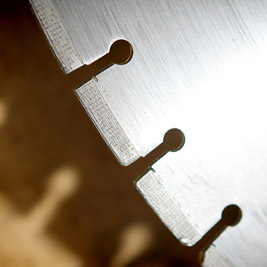 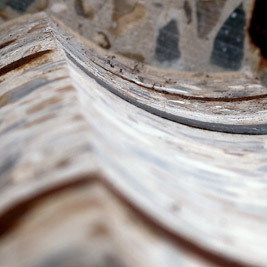 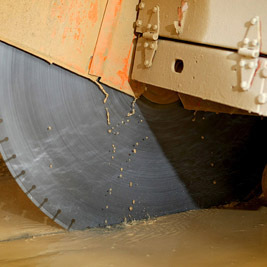 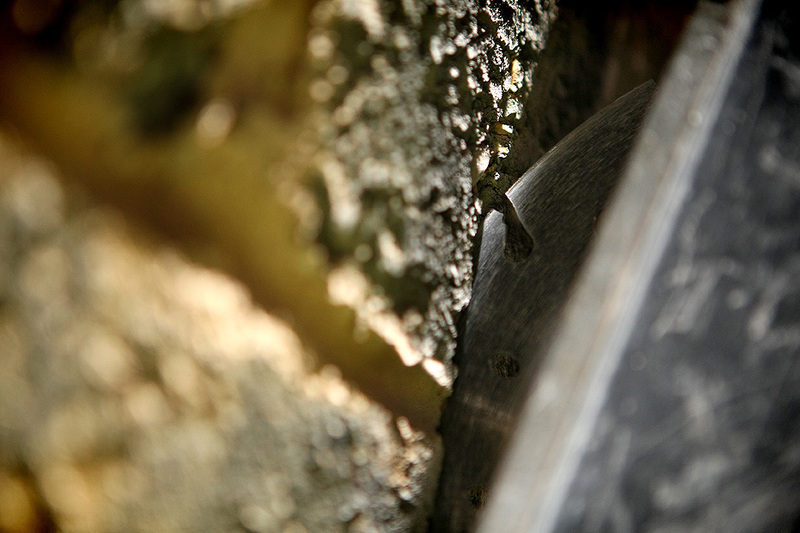 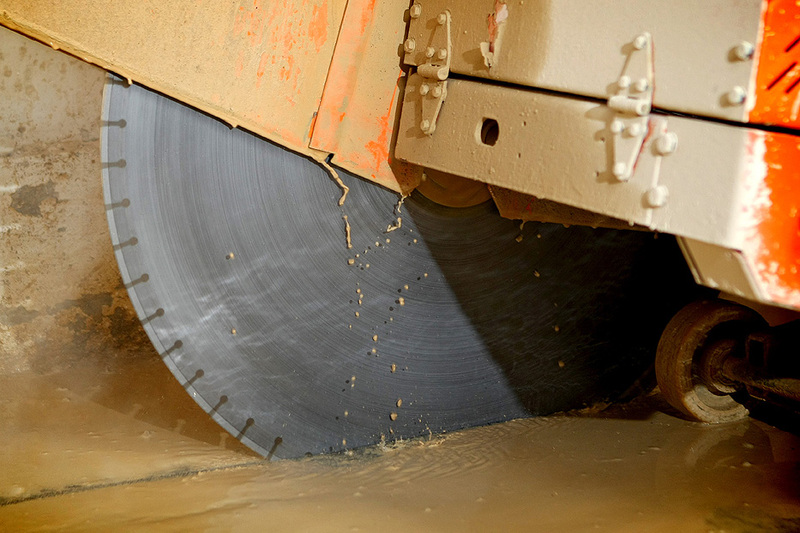 Floor saw blades require water feed to flush the cut and to act as a coolant. 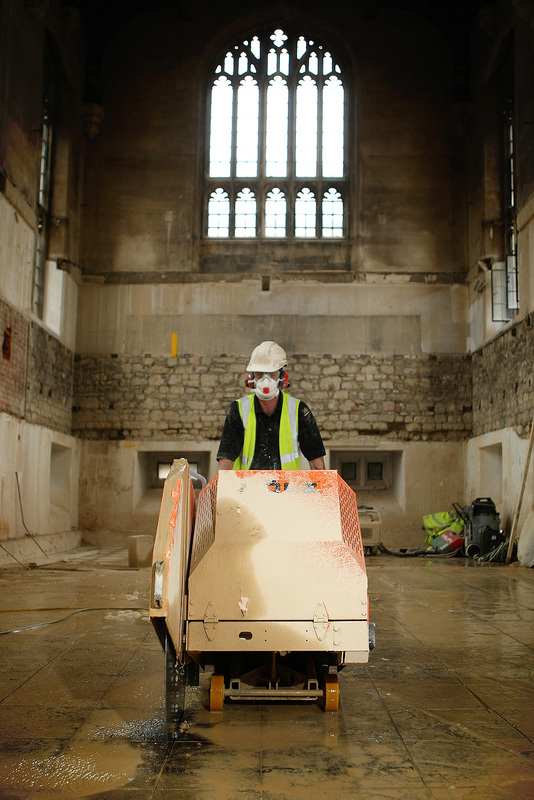 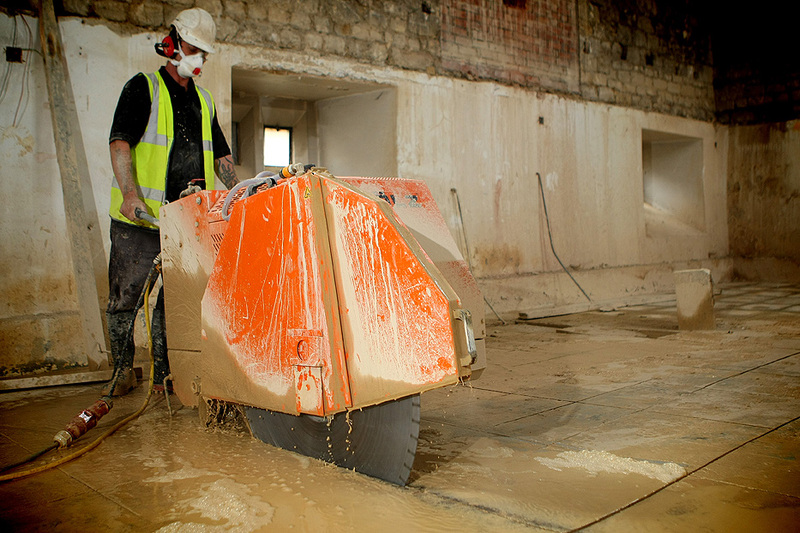 Floor sawing, as well as wall sawing, is an excellent demolition aid due to its speed, control of the process, low noise and vibration. 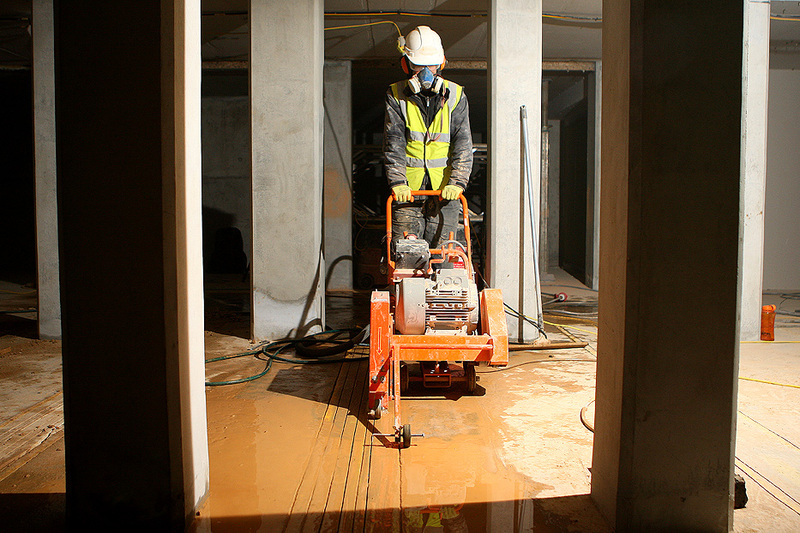 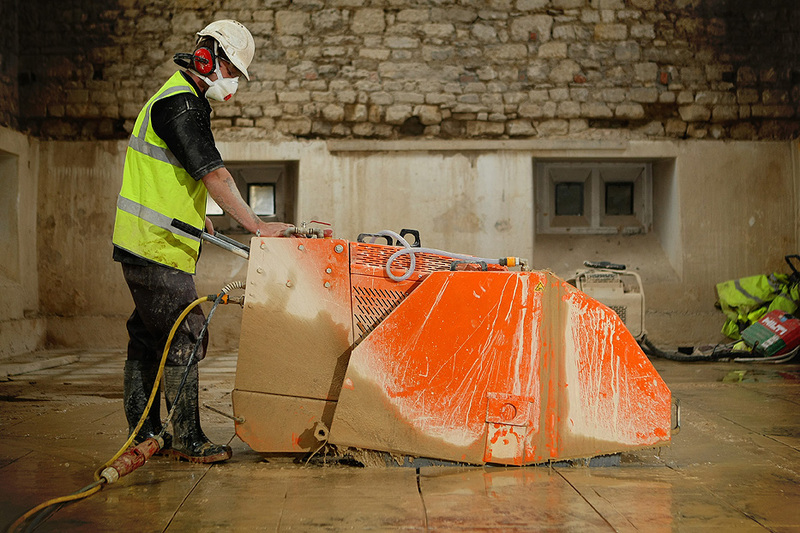 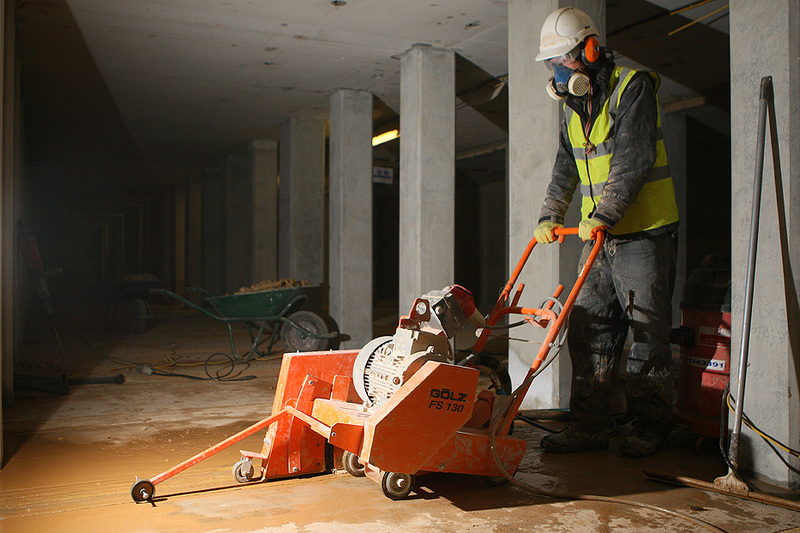 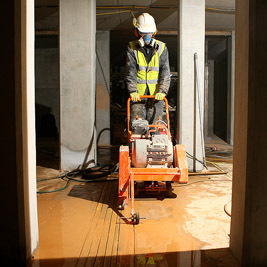 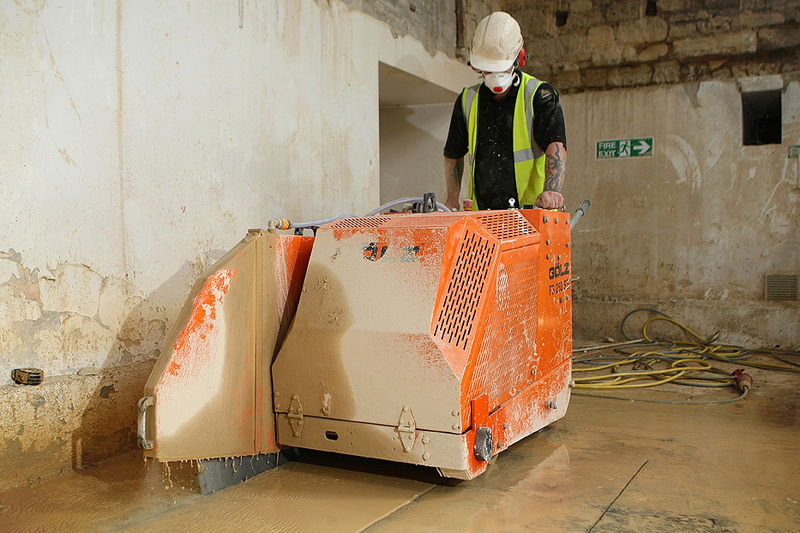 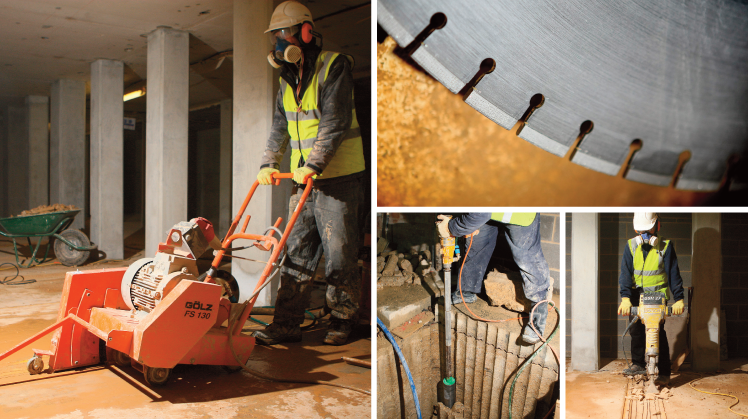 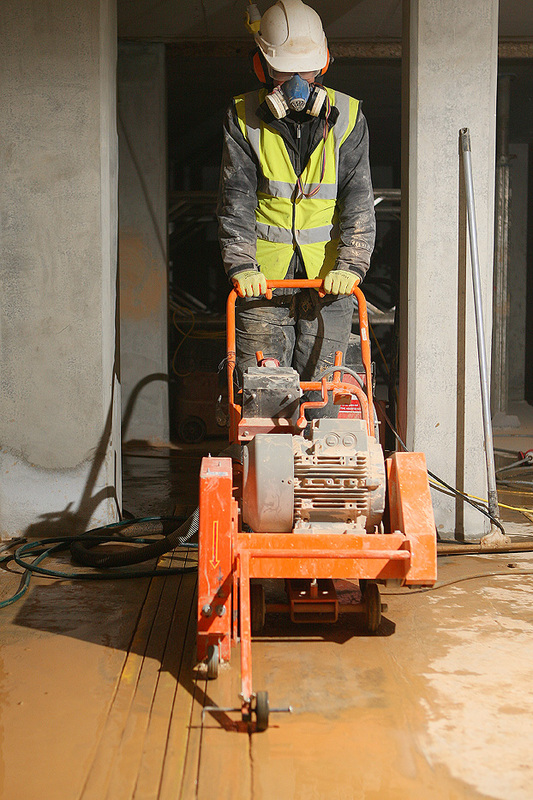 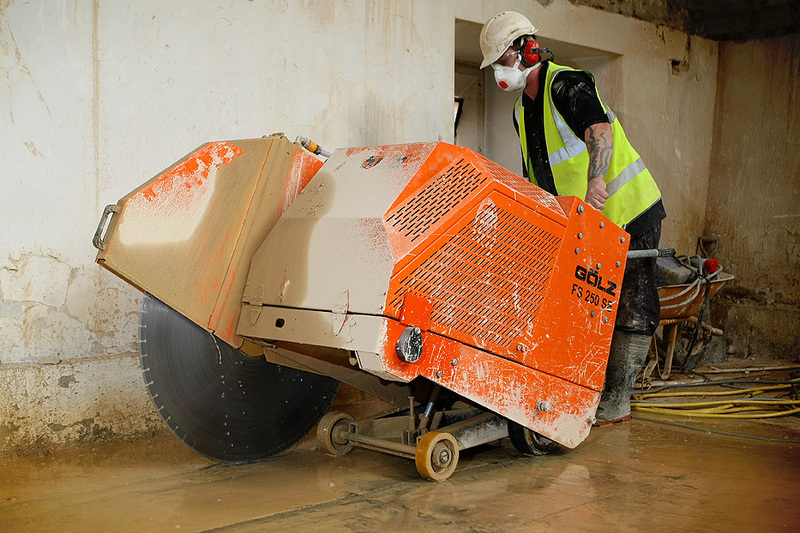 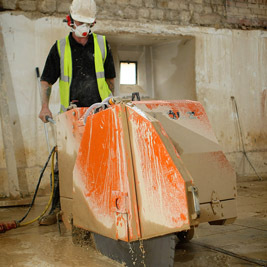 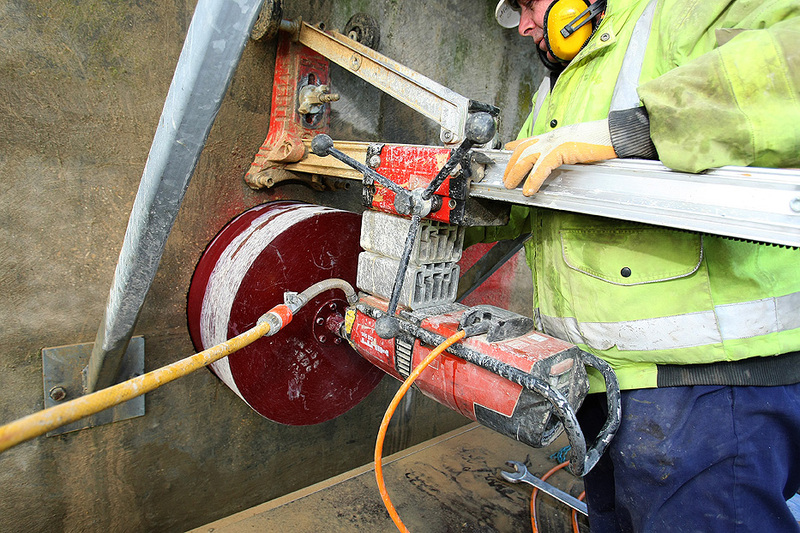 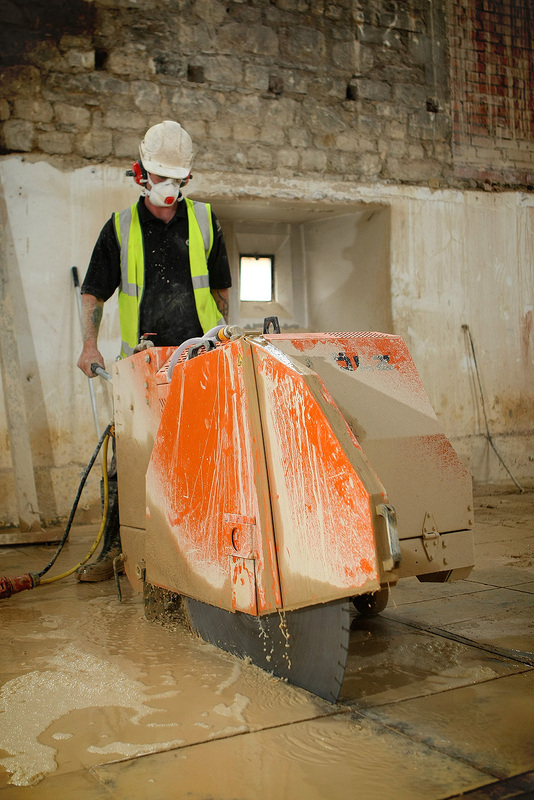 Our 3 Phase Electric saws can also cut up to 520mm deep in confined areas or clean environments. 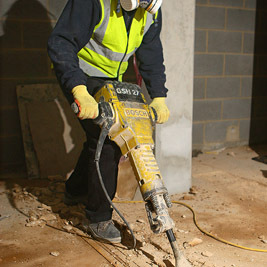 We carry out chasing using hand held equipment with a blade attached. 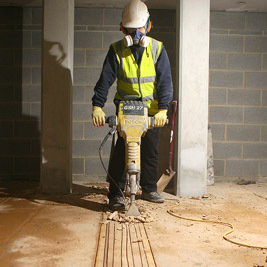 Several slots are cut at a pre-determined depth and then the centre of the channel is removed using a lightweight hand held breaker. 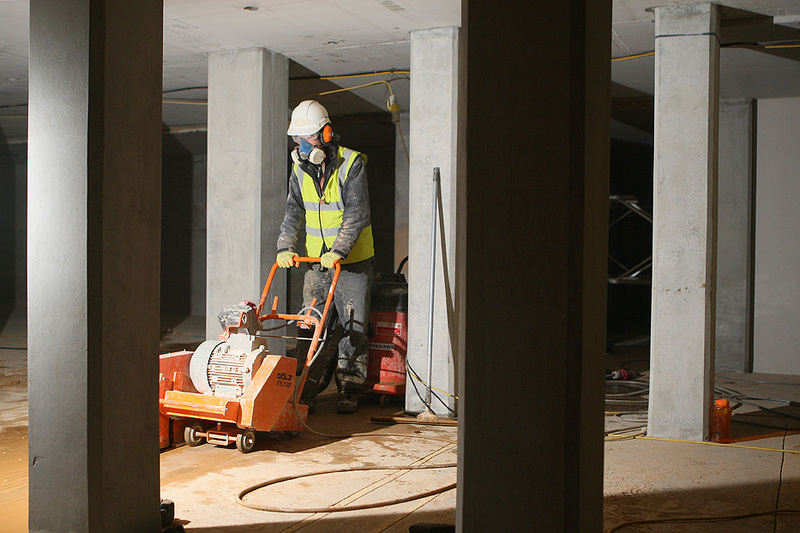 By attaching vacuum equipment, dust is controlled and contained before it reaches sensitive areas or other trade people working adjacently. 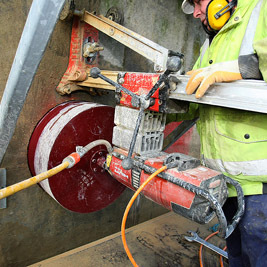 Wall sawing involves bolting down a track and then on top of the track a motor is mounted along with a blade. 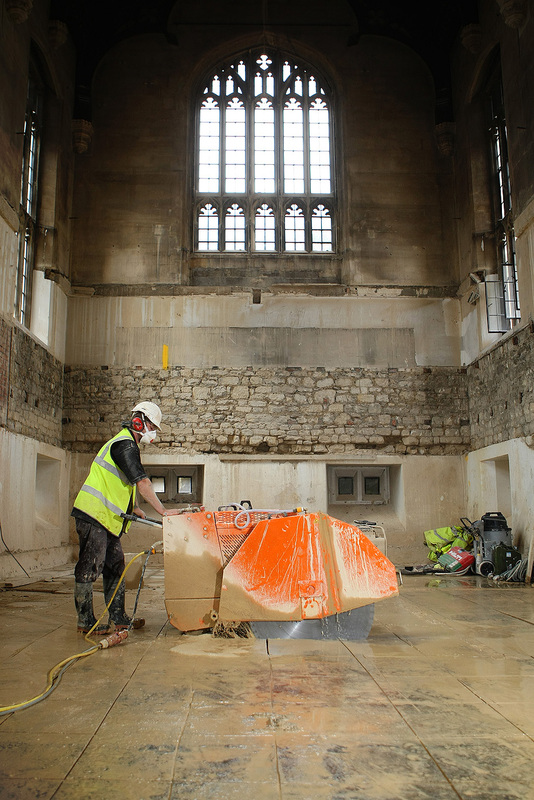 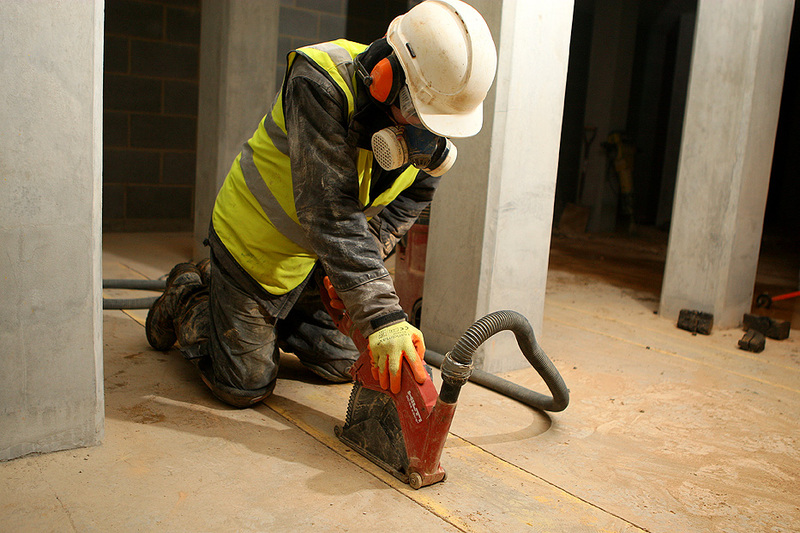 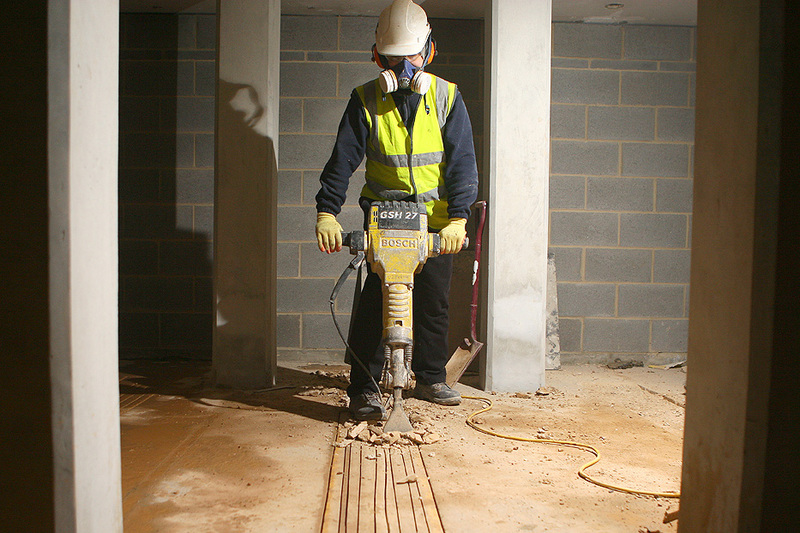 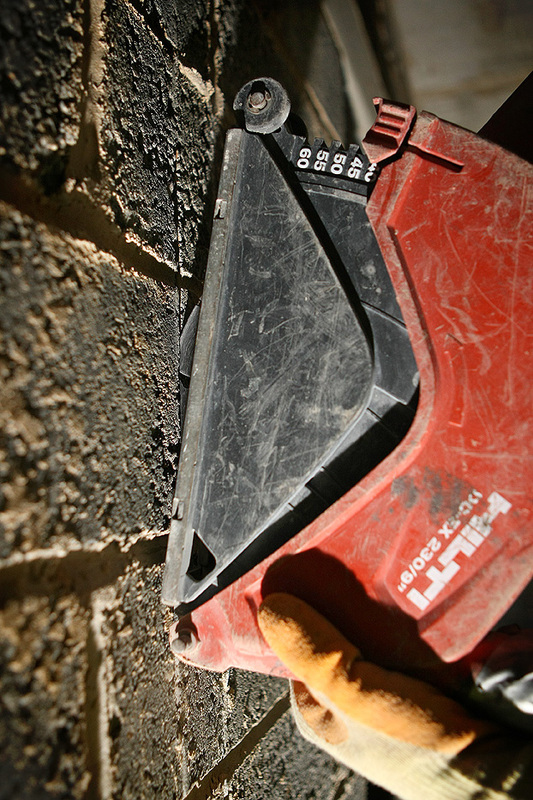 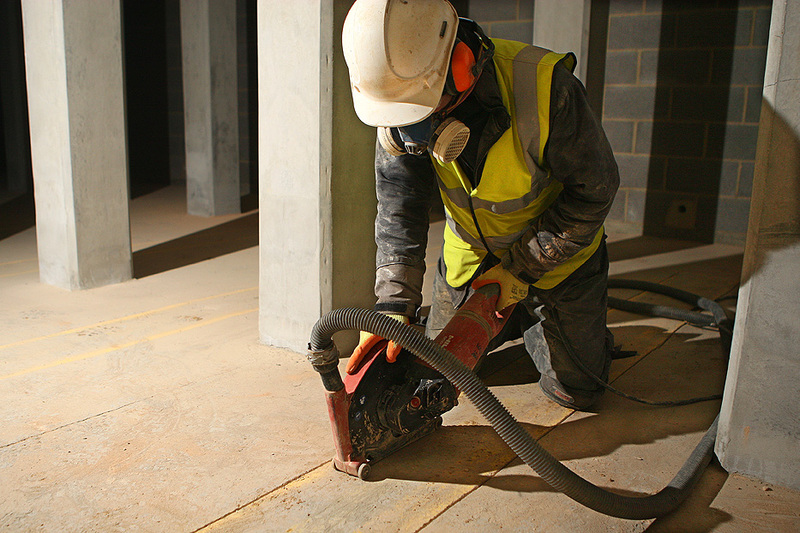 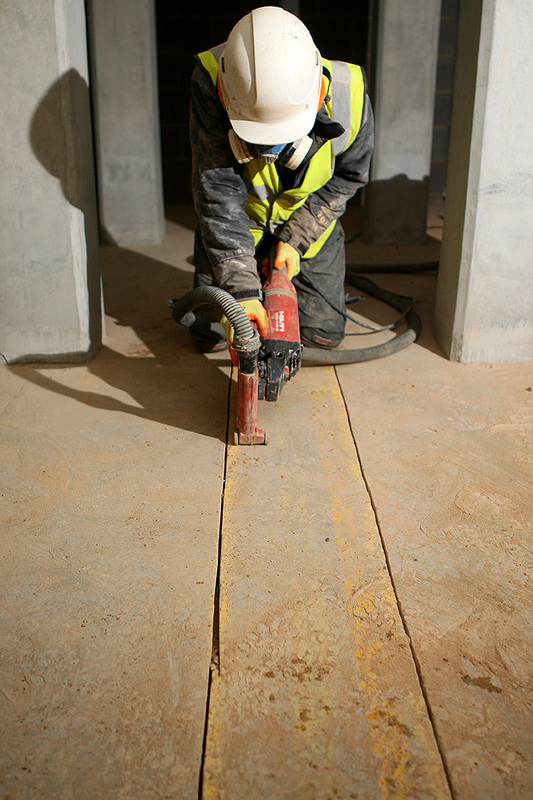 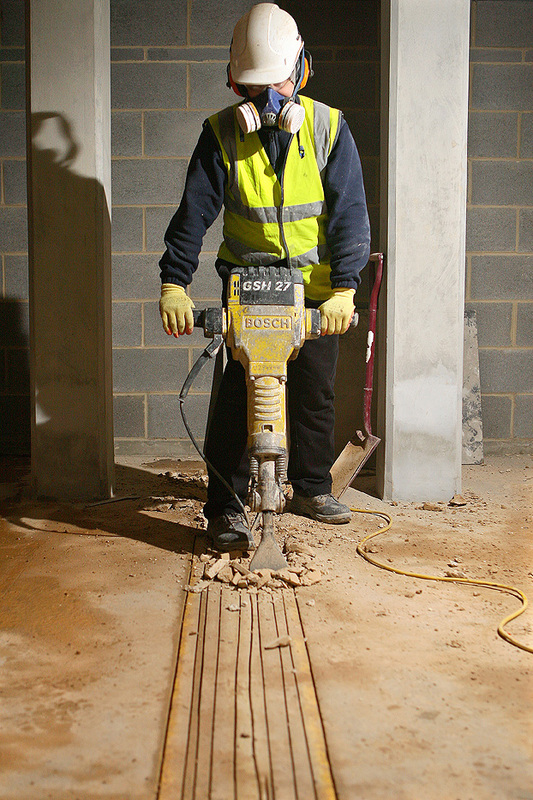 This precision cutting method is ideal for cutting out doorways or just simply removing large areas of concrete from a building. 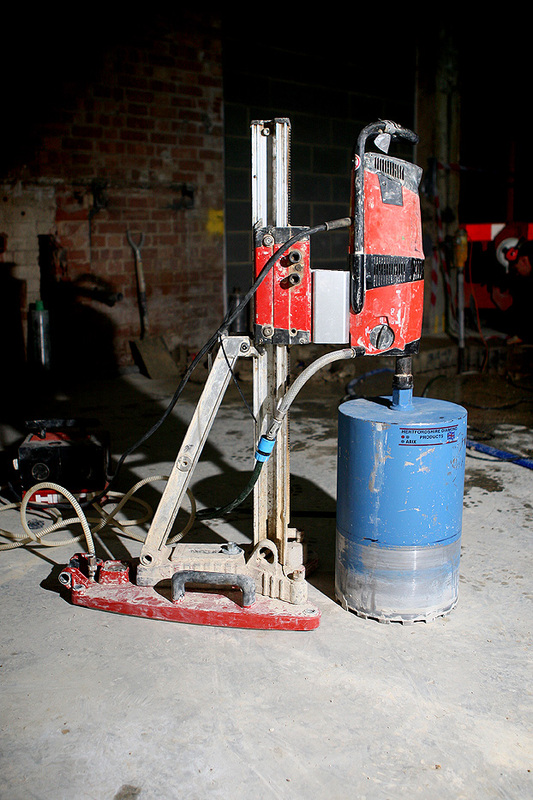 This can be used on concrete, brick or stone. 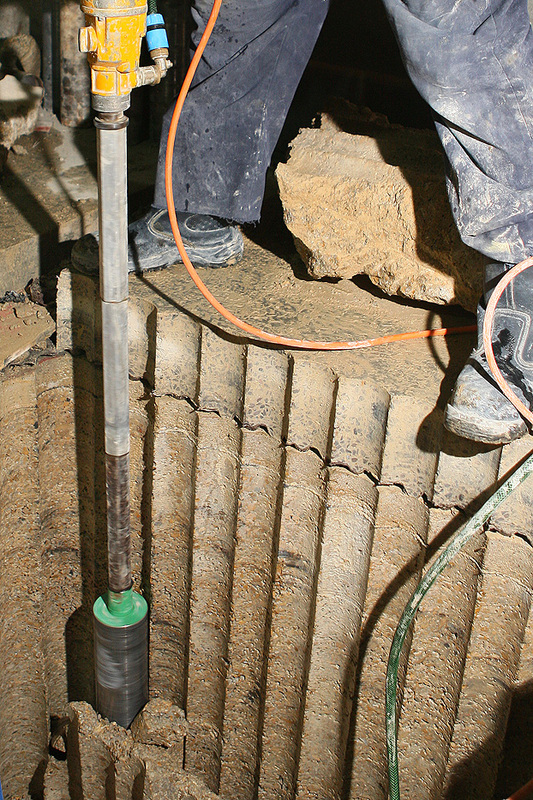 This fast and effective method can cut up to depths of 1000mm as standard. 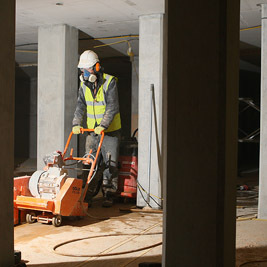 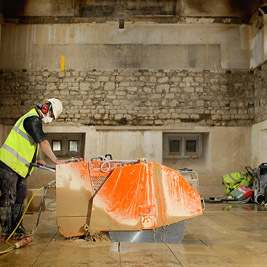 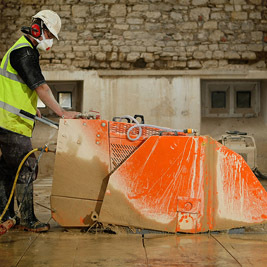 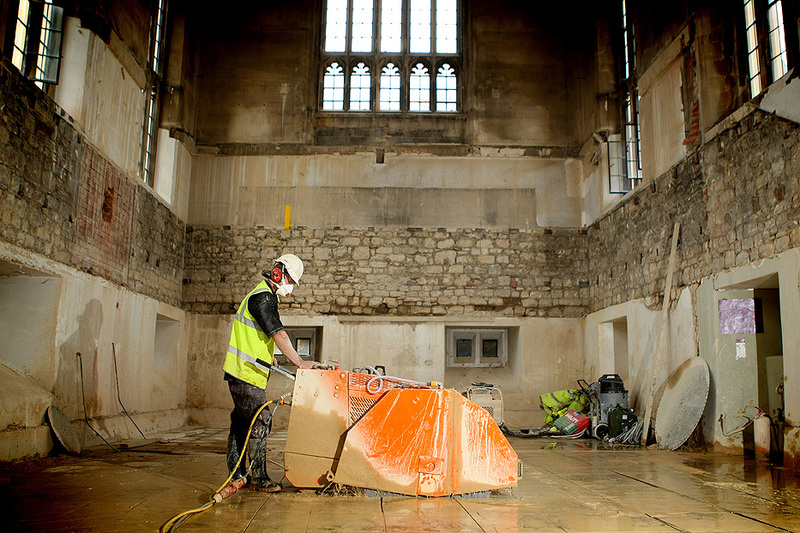 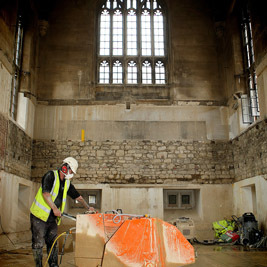 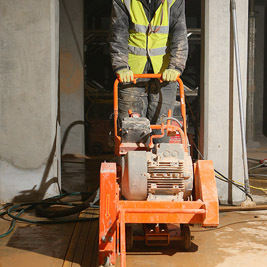 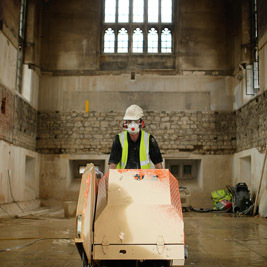 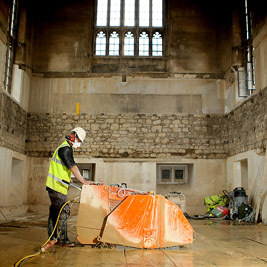 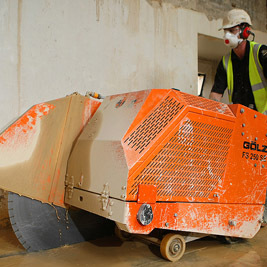 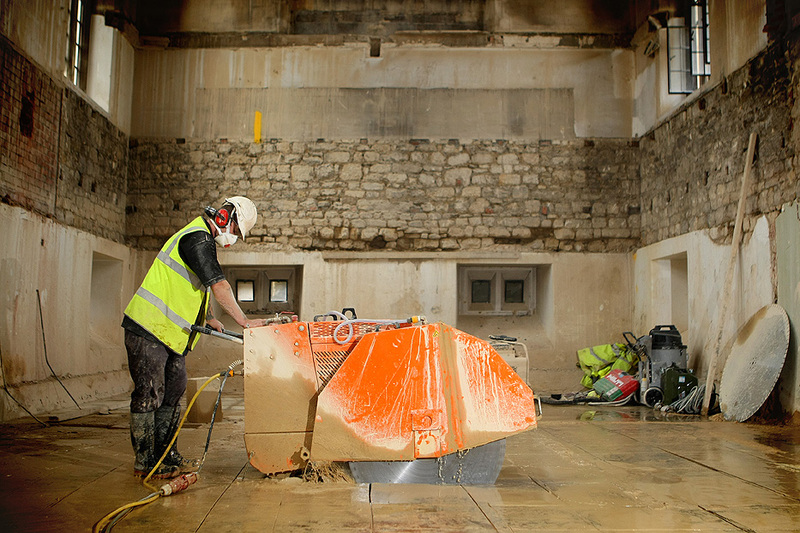 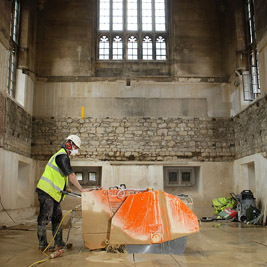 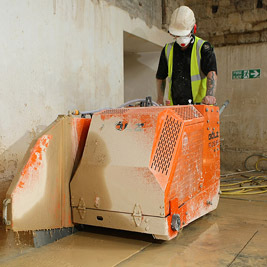 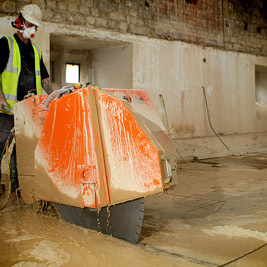 The operation is vibration free as the operator controls the wall saw from the hydraulic control box several feet away. 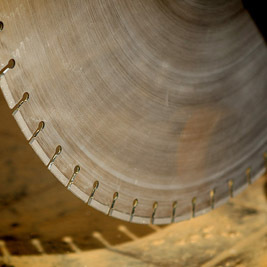 Wire sawing is a technique that originated in quarries to extract stone. 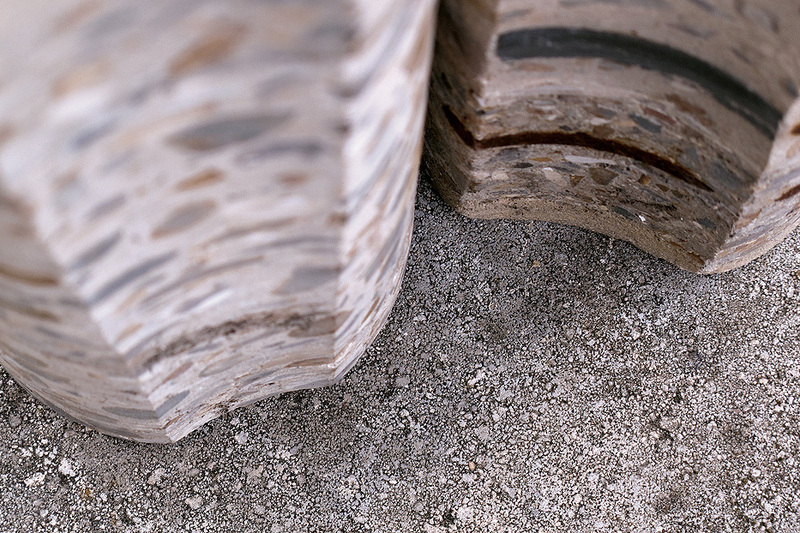 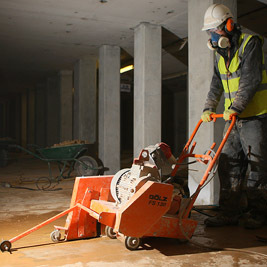 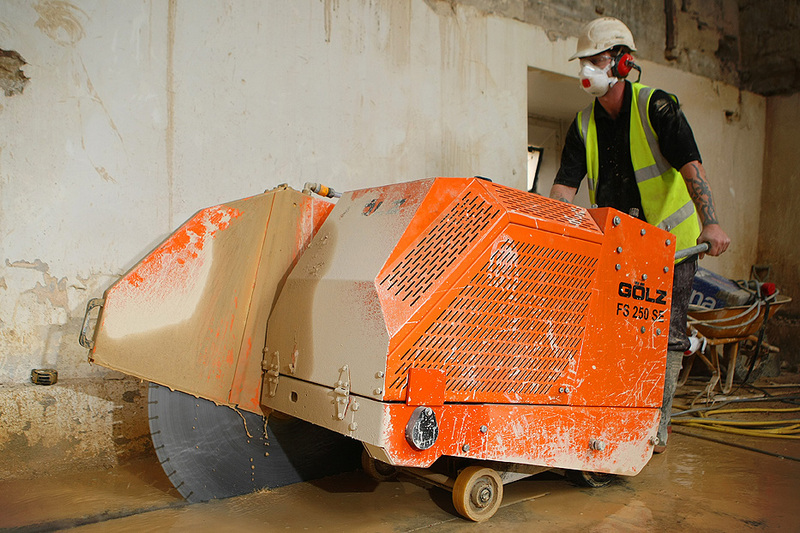 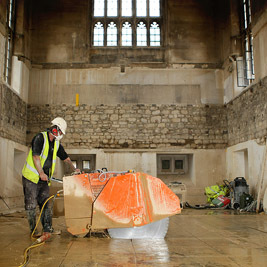 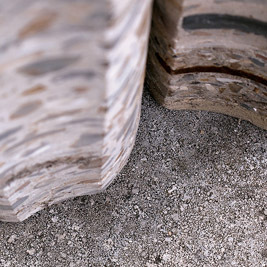 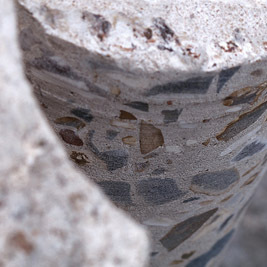 It has proven to be an ideal choice for removal of thick sections of concrete. 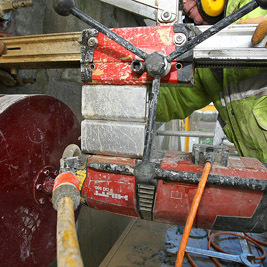 A multi-strand cable with diamond segments is threaded through a series of pulleys and is continuously pulled through the concrete. 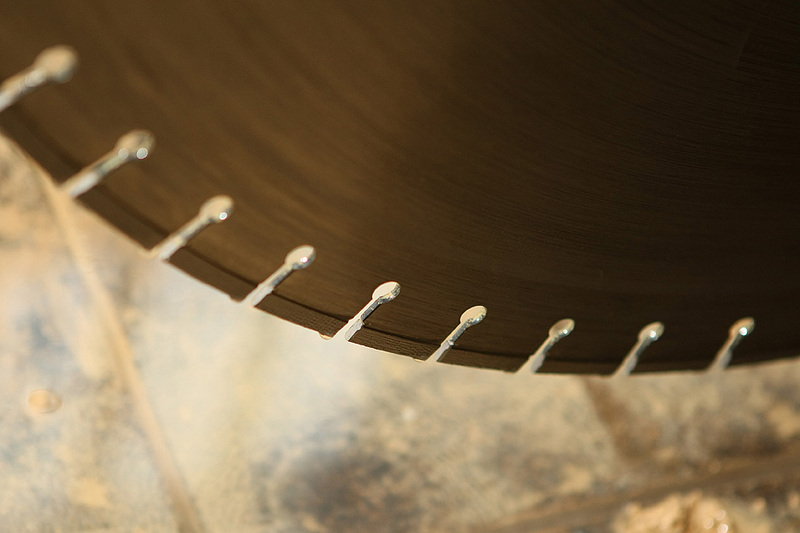 Since virtually no concrete structure or cross-section is too large to cut, wire saws are used where other cutting methods are impractical. 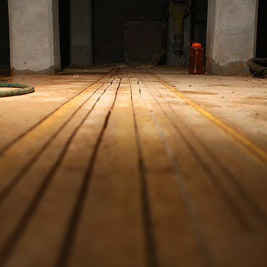 The only restriction is the lifting and removal specifications of the project. 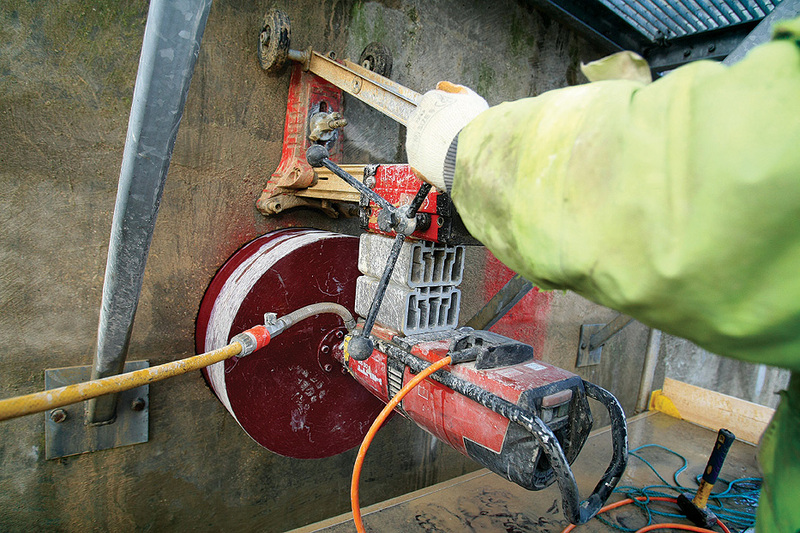 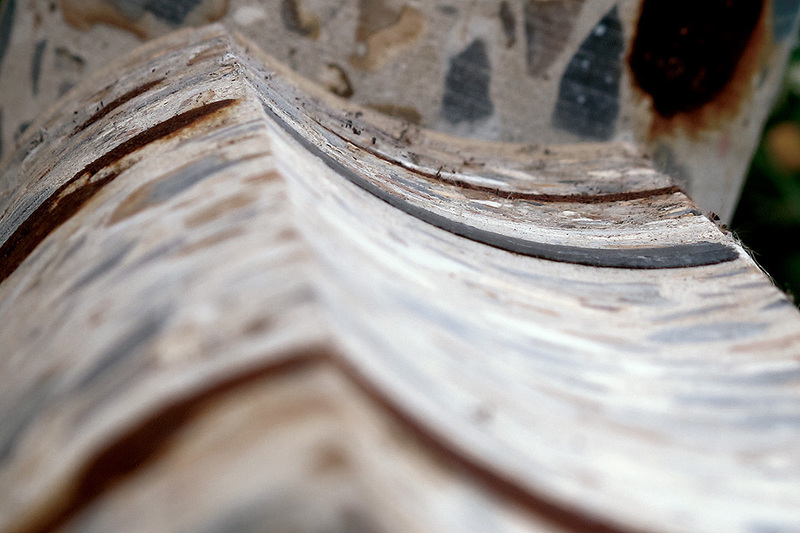 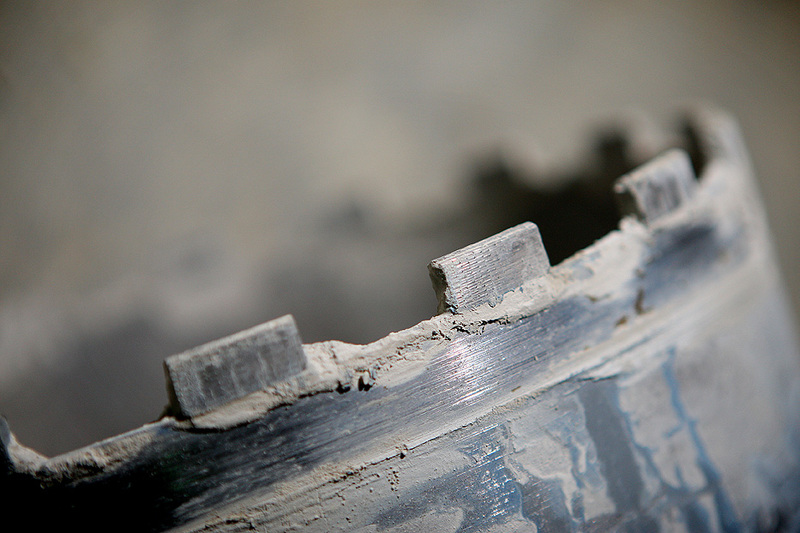 Wire sawing is ideal for removing large sections of heavily reinforced concrete, such as piers, towers and bridge sections, and cutting concrete in areas where work space is restricted. 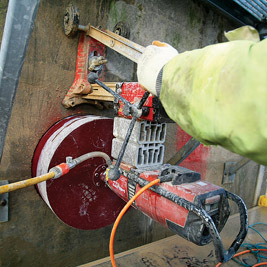 A wire saw consists of a multi-strand cable with diamond segments that are threaded through a series of pulleys attached to a drive wheel that is powered by a hydraulic power unit. 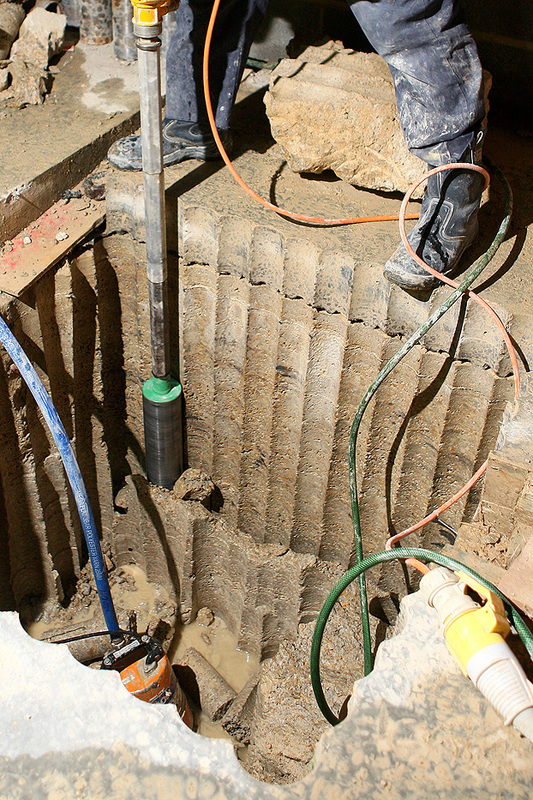 The combination of the spinning wire and constant pulling force cuts a path through the concrete and steel reinforcement. 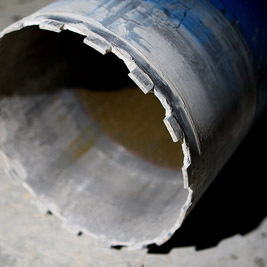 A typical wire diameter is 10 mm. 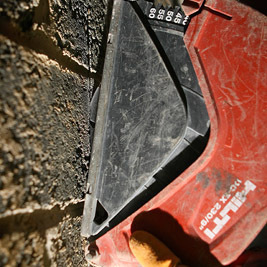 Wire saws can cut in any orientation, vertical or horizontal. 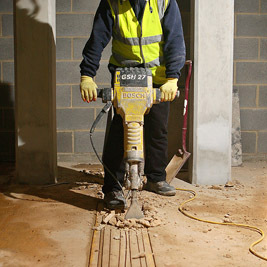 Because the length of wire can be made to virtually any length, the cutting depth is unlimited. 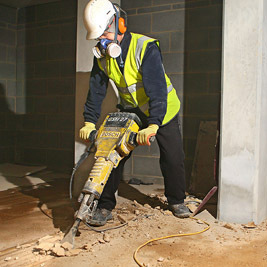 For a full range of these services and what they could do for you please call 07875 123344 or 01865 433370. 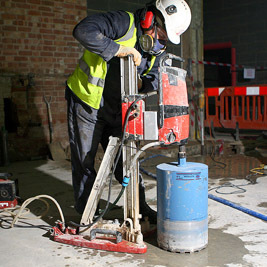 At Cutting Edge Diamond Drilling it is our belief that fully trained operators not only provide the best standard and quality of work, but also represents our company’s commitment to servicing our clients, and above all maintain the integrity of safety and management controls to protect our staff, on site personnel and the general public. 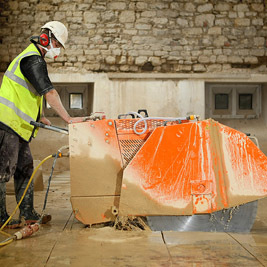 Our ongoing training programs include in-house training and accredited training courses provided by reputable trainers. 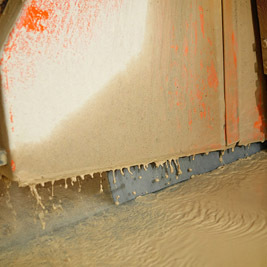 CUTTING EDGE DIAMOND DRLLING LTD. 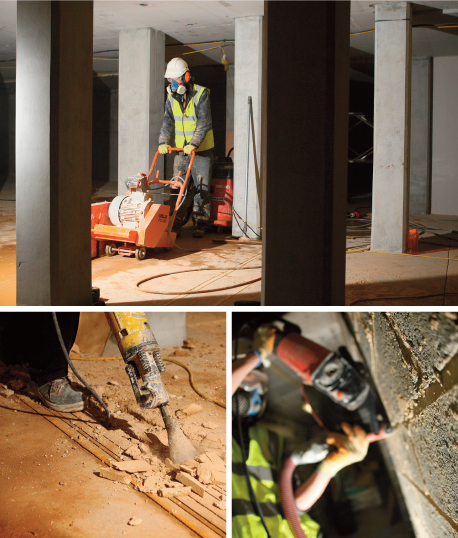 COPYRIGHT 2015 © CUTTING EDGE DIAMOND DRILLING LTD.